The moose is a very important animal of the Canadian landscape. They live in the deep forests and stay close to water sources such as marshes and riverbanks. These enormous, tall and majestic animals are very shy and prefer to stay away from humans. The most unique characteristic of the moose is the oversized nose. Their diet needs some aquatic plants such as lilies and pond weed. The fatty pads on the nose helps to protect the nostrils and to keep them closed underwater. This is one scientific fact for my illustration. 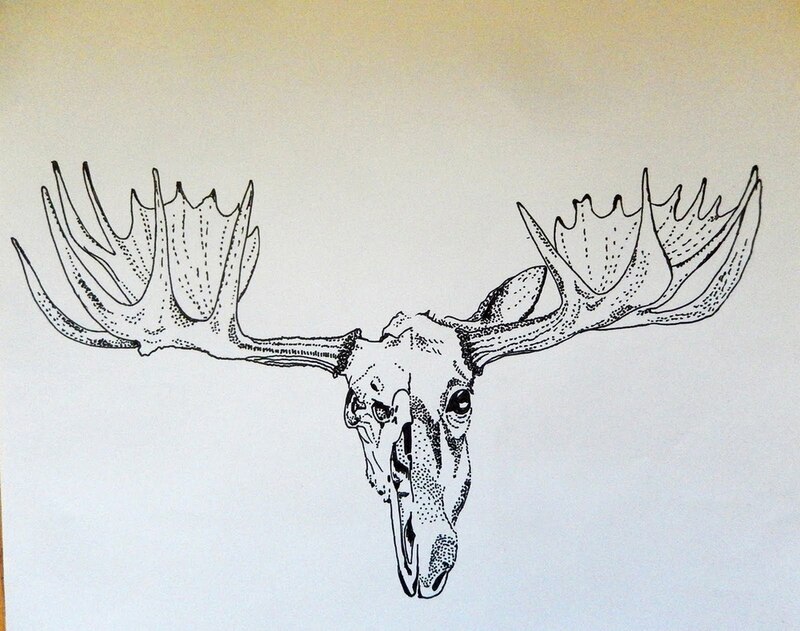 I provided the skull structure as half of the moose head, and the full grown, male adult on the other half.